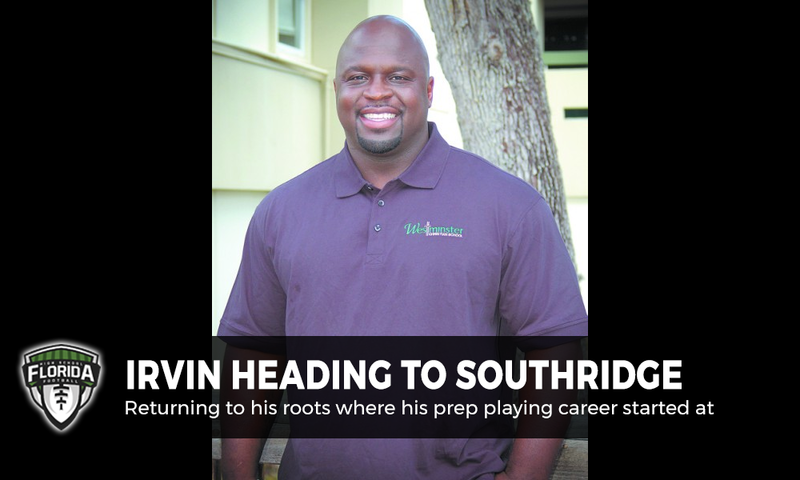 It is official… Sedrick Irvin is heading to Miami Southridge as its new head football coach. According to J.T. Wilcox at the Miami Sports Tribune in Miami, the school officially confirmed Irvin’s hiring on Wednesday after reports surfaced earlier in the week that Irvin was taking the job. #BreakingNews: Miami Southridge has named Sedrick Irvin the head football coach. He replaces the legendary Billy Rolle who stepped down after three seasons to take a position on Florida A&M’s football staff in Tallahassee. Rolle finished with a career record of 172-53 over 18-years as a head coach including win state championships at three different schools, a state record. Irvin, who spent this past season at Miami High, going 12-2 and leading them to the Class 8A state semifinals, returns to where he spent a majority of his prep career at, a place he feels he can build tradition at. “I wanted to find a spot where I could stay and build a tradition,” Irvin told the Miami Sports Tribune. And he has already met with the players, telling them this is about them, not him in coaching at Southridge. Sedrick Irvin hiring official at Southridge. In addition to coaching this past season at Miami High, Irvin compiled at 42-13 record at Westminster Christian in nearby Palmetto Bay for five seasons from 2011 until 2015, with a trip to the 2013 Class 3A State Semifinals where the Warriors fell to eventual state runner-up, Clearwater Central Catholic. At the end of the day, though, Irvin wants his athletes to do one thing. “I told them that they need to change the way they think,” Irvin told the Miami Sports Tribune, referring to how they think and how they feel that they have been left out in being recognized while developing the athletes and a desire to get back to Orlando.